Flights have been cancelled into Hamilton Island. 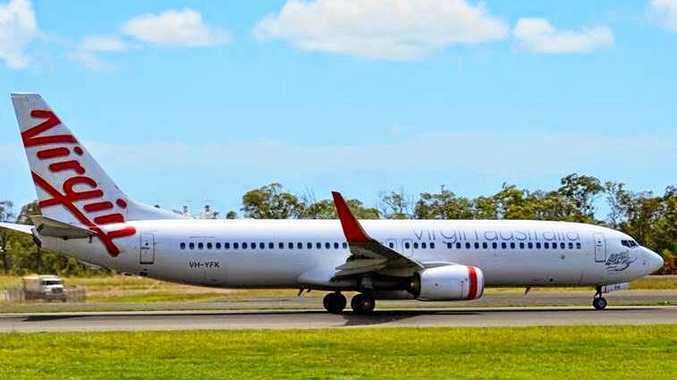 AS CYCLONE Iris has intensified into a Category 2 system and wind gusts on Hamilton Island reach 67km/h, Virgin Australia have cancelled their flights into Hamilton Island today. At this stage Qantas still has a flight from Sydney due to arrive at 12.45pm and another from Brisbane at 2pm. Yesterday wind speeds reached 83km/h and so far no flights have been cancelled for tomorrow. Some flights into Whitsunday Coast Airport have been delayed but so far none have been cancelled. North Queensland Bulk Ports have confirmed over Twitter due to current and predicted weather conditions, the southern breakwater in Mackay has been temporarily closed.